A lot of parents split up soon after their children are born. The stress of raising children is too much for the already weak relationship, and it eventually breaks apart. Some parents split up before the child is even born, which creates complicated questions about who has rights to custody and what visitation will be. The state assumes the mother will have custody of the child, and she can even refuse to put the father on the birth certificate. Ideally, you would have a good relationship with your ex so you can talk about these matters together and reach a consensus. After all, whether you like each other or not, and whether you will be together or not, you will be co-parents forever. You cannot change the fact that she is the mother and you are the father of this child. That will always be true, no matter what else takes place. Start talking to your ex when your relationship dissolves about what your involvement will look like. What days will you get to see your child? Do you have the right to just stop by unannounced, or are you expected to call or schedule time first? Will you share custody, or we she have primary custody? You may have some disagreements over the answers to these and other questions, but try to work in a spirit of cooperation. Being able to work things out amongst yourselves will save you a lot of heartache and legal fees later. If you can’t reach consensus with your ex, you will need to talk to a family law lawyer in Glendale, AZ about your next steps. Your attorney can advise you of your rights and talk to you about establishing paternity, paying child support, and suing for visitation in court. You can also talk to a custody lawyer about suing for joint or primary custody, if that’s what you would like. Your attorney may be able to negotiate a parenting plan between you and your ex, or your attorney may represent your interests in court, depending on how resistant your ex is to cooperation. Know that the legal process can take some time to get results. If your case has to go to court, you may have to wait several months before you can start visiting your child. Do what you can in the meantime to maintain that connection, such as making phone calls if your ex allows it or sending letters and packages. Your baby may not understand any of these things now, but he or she will know about the efforts you made later and will appreciate them. Simply hearing your voice on the phone can also get your baby used to you and promote bonding. You may not feel like you should have to pay child support if you haven’t settled the question of custody or visitation yet, but the courts disagree. Until matters are settled, you should start paying the child support expected by Arizona guidelines. As soon as your paternity is established – either through DNA testing or from being named on the birth certificate – you will be legally required to start paying child support. If you want to dispute how much you are paying or whether you should be paying at all, you need to talk to a child custody lawyer to work through the situation. You can’t just decide to not pay. You’ll end up facing serious consequences if you do. Ideally, parents would always be able to work together to do what’s right for their children, no matter how they feel about each other. But we don’t live in an ideal world. If you and your ex can’t work out visitation, custody, or child support issues, you should talk to a Chandler family law lawyer as soon as you can to start fighting for your interests. My AZ Lawyers can help you. An experienced family law lawyer from our team will review your case and help you understand your legal rights and options. You can work with an attorney to work out a visitation plan, or you can talk to a child custody lawyer about fighting for more than just visitation. If you were married to your co-parent, a divorce attorney from our team can work with you on division of assets and other interests. 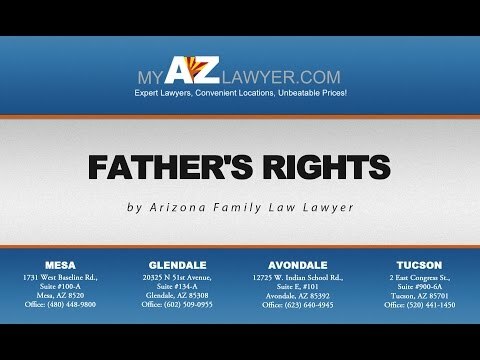 Call us in Arizona to talk with a family law lawyer today!